New rubber from Vee Tire Co.
Fresh on the workbench, ready for fitting, are a set of Vee Tire Co. Road Runner 700/25c and 120TPI clincher road tyres. Vee Tire Co. are a North American brand that offer a broad range of tyres, from Fat Bike and Oversized tyres, to CX/Gravel, road, touring and BMX. 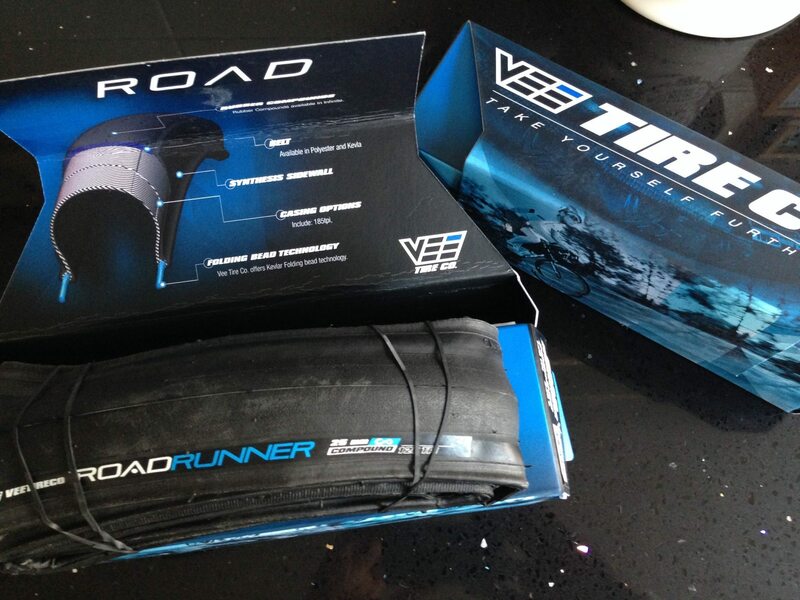 New 120TPI 25c Road Runner tyres from Vee Tire Co. The Road Runners are a folding clincher tyre with an aramid bead, made from a compound they call ‘Continuum Compound 66 A’, I don’t know specifically what this means at present, but I will find out. The resulting tyre is a supple and almost sticky rubber that feels as though it is going to offer a lot of grip, with a slick surface tread to provide minimum rolling resistance on the road. The packaging they come in is quite incredible – as marketing goes it makes the tyre feel as though it is a premium product, but the rather reasonable price suggests otherwise – proof will be in the use no doubt and I am so far impressed with the way they feel and look and with an quoted weight at 230g (25c) they are a reasonable prospect. Vee Tire Co. fancy packaging. They’re a lightweight summer tyre so they might not be exposed too much to our wintery road conditions, but with Spring just around the corner and occasionally peaking through the February gloom they will get some use on the sunny days. Check back for the full review soon. 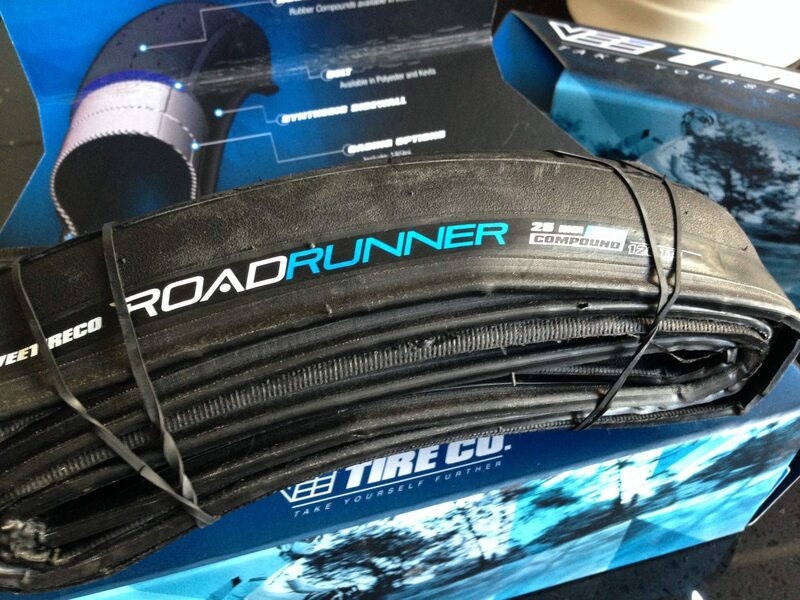 Vee Tire Co. 700/25c Road Runner tyres – RRP £24.99.